When it comes to make money online blogging or make money online, there are two big things that attract people to put their time and efforts to make money using online resources. There are two major methods for bloggers to make money online. I have already shares about the difference between Affiliate marketing and CPA marketing. If you have already heard about affiliate marketing then you may already know that it is one of the biggest source of income for those who are making heaps of money. In affiliate marketing all you need to do is to promote the products or services of others and when your promotional efforts convert into sale then you get commission of each sale. There are various popular affiliate networks that you can join to make money online, such as ShareaSale. Here I am going to tell you the very much effective and fast growing opportunity that eAskme is already giving to those who wants to make money with eAskme. eAskme Affiliate Program is a fastest growing referral program where you can make good referral money by promoting products or services sold on eAskme and referring users to eAskme.com. You will earn a good amount of referral commission each time a user buy something from us through your affiliate link and makes a purchase. 1) SIgn Up/Subscribe eAskme Newsletter. 3) Fill the below eAskme Affiliate program Joining Form. enter each detail properly, you we can approve your application and give you opportunity to work with us. When your application get approved, we will give you details of eAskme affiliate programs, via eAskme or email or skype. We allow you to choose any or all products or services from our affiliate program list, which you like to promote, then we will generate an affiliate link with your affiliate code, You will be able to promote products of services with that link and when a user buy any products or service you will get commission of that sale. There is no limit on how much you can earn from eAskme affiliate program, the more sale you make the more and more you will earn. 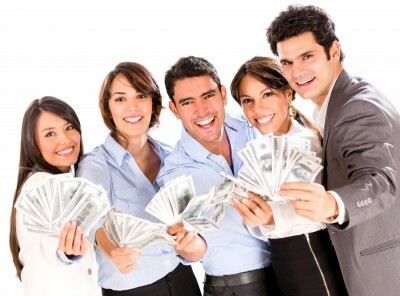 Not only money but eAskme also award the best affiliates with extra money, trips, gifts, vacations etc. for example if you promote and generate sale of eAskme Blogging Consultancy Program, you will get 20% commission which is $40 or 2400 Rupees for each sale. The best thing about eAskme Affiliate program is that for we do not have any threshold payment restriction, You will get paid whenever you want to receive payment. 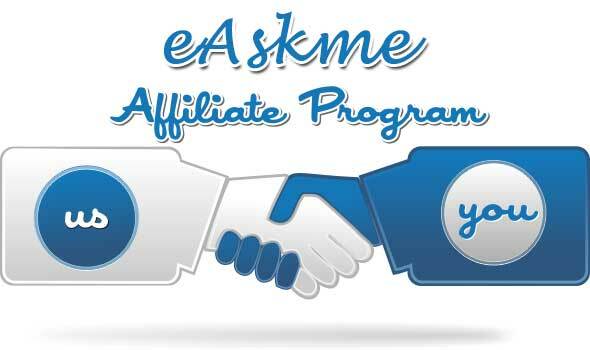 We believe that here we have cleared all the question about eAskme affiliate program. If you still have any question, feel free to ask me via comments. Don`t forget to like us on Facebook or subscribe eAskme newsletter to stay tuned with us.